Doctor on Call, Internet/Wi-Fi, Backup Generator, Room Service, Family/Child Friendly, Gift Shops/News Stand, Breakfast Services, Parking, Currency Exchange, Restaurant. Desk, Bottled Water in Room, Internet Access, Child Care, Cable/Satellite TV, H/C Water, Television Room, Attached Bathroom, Complimentary Newspaper, Daily Room Cleaning. ATM/Banking, Breakfast Services, Doctor on Call, Laundry Facilities, Parking, Restaurant, Room Service. 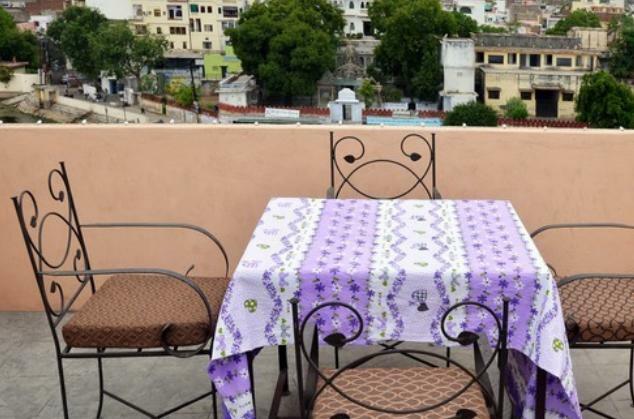 User reviews for "Heritage Haveli Guest House Udaipur"